Orange, CA – Rising Los Angeles rapper Blueface is commemorating his SoundCloud roots with some fresh ink. Despite some using the label “SoundCloud rapper” as a way to debase artists who found success on the platform, the Famous Cryp artist is turning the term into a positive by getting a tattoo of the SoundCloud logo. The half-sleeve was done by Herchell Carrasco of the Pachuco Tattoo Shop in Orange, California. The celebrity tattooist has also inked controversial rapper Tekashi 6ix9ine as well as Los Angeles Lakers Lonzo Ball and Kyle Kuzma. It took him just over four hours to finish up Blue’s. SoundCloud has been an integral instrument used by the younger generation of rap stars. 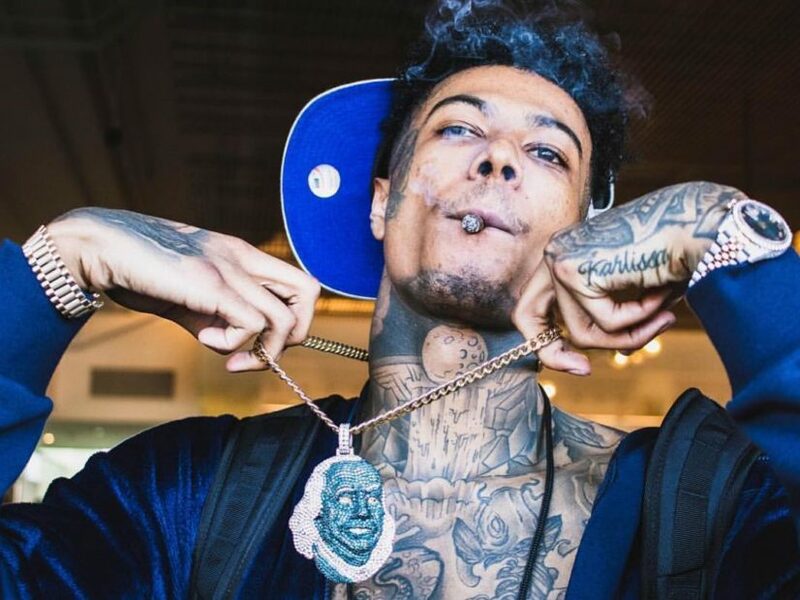 The late Lil Peep, Chance The Rapper, 21 Savage and Lil Uzi Vert could be considered part of this class and Blueface is SoundCloud’s latest artist to pop from putting the free audio distribution platform to use. Instead of relying on traditional album sales, these artists have instead built their fanbase by touring. In Blueface’s case, he would show up at random high schools and give free performances. Check out Blueface’s SoundCloud tattoo below.